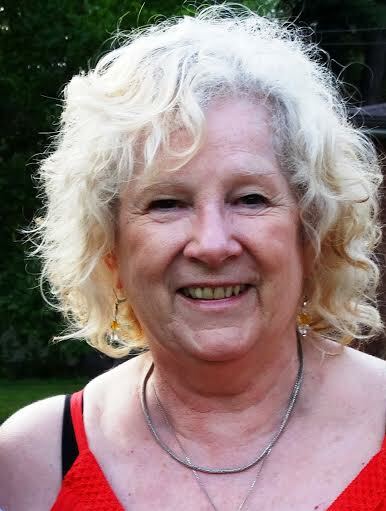 Lynda McKinney Lambert is a retired Fine Arts and Humanities professor from Geneva College, Beaver Falls, PA. She is the author of “Concerti: Psalms for the Pilgrimage,” published by Kota Press. Lynda is married to Bob and the couple have 5 grown children. They live along the banks of the Connoquenessing Creek in the Village of Wurtemburg, PA. When Lynda is not writing she is creating mixed media fiber art for exhibitions, attending knitting groups with local enthusiasts, and enjoying her 4 cats and 2 dogs. August days signify the end of summer when nights become cooler and I begin to forget the predictable, unrelenting steamy days and nights of July. Temperature readings by mid-August dropped down into the 50s. I opened the windows, felt the cool breeze move through the familiar old house. July’s humidity and stuffiness were swept away and I sensed the shift of a quickly approaching new season that was beginning to stir my senses. There is something in the air that I feel by mid-August. Is it a kind of nervousness and anticipation for…what? I cannot really say. Last night I lay in my bed, listening to the soothing insect sounds drifting upwards to my open window. Each unseen creature sounded like musicians tuning their instruments to play night songs. The sounds blended into a nocturnal symphony, a cacophony of a summer serenade. Our century-old home is on a ridge overlooking an ancient, winding creek that meanders for fifty miles in western Pennsylvania. People from this area call it “the Connie.” Its actual name is the Connoquenessing creek. For many of the residents of this village, our ancestors date back to the 1700s. That is when the early settlers were going back to Germany to recruit artisans to come to America and settle here. People who had skills that were needed by the colonies were recruited for about one-hundred years. Many of them married Indians who were already living in this area during that time. In the summer time, the Connie comes alive with the voices and sounds of the local “Crick Culture.” That’s what we call it here. Kayaking begins in earnest in late winter as soon as the ice begins to dissipate. Hearty enthusiasts will continue to ride the rapids through the summer days in into the fall season. The Connie’s whitewater rapids provide the perfect setting for a swift course for kayakers to perfect their skills. On August nights I can hear people laughing from down below the ridge. Summer nights, some people arrive here at the crick in the late evening, in the twilight, just before it gets dark. They leave their cars and trucks in a clearing beside the road, just under the old trees. Generations of local people come to spend the night fishing. I often watch as they pull out their gear. They bring coolers and jugs, flash lights, buckets of worms, fishing poles, nets, and blankets. Most of them wear baseball caps. One by one, they scramble down the steep, rocky path that leads to the deep water below. When they get to the bottom of the hill, they walk out onto the big, flat rock where they spend the night. I hear them talking and laughing; their voices blend with the insect concert. In childhood memories my father and I are in the back yard behind our home in the foothills. I still live in the valley between the steep hills. Like most of the steelworkers in our village, my father loved to go fishing in the Connie. In the darkness of an August night, I helped him find earth worms. His steelworker’s helmet had a strange yellow light on the front of it. I smelled the acrid smoke, heard it sizzle and sputter as we bent over the dark ground. We poured mustard water down into the little tunnels where the earth worms lived. In just a few seconds, a worm came to the surface seeking fresh air and we grabbed that worm and put it into Dad’s metal pail with the holes in the sides. He had put dirt into the pail before we went searching for the worms. We turned over rocks and found creepy creatures hiding under them. Dad called them helgramites and they made me shiver when I looked at them. My favorite sight in August is the Queen Ann Lace mingled with the periwinkle blue flowers of Chicory. The two wild flowers grow together along all the roads in early August. I take my camera outside so I can capture the beauty of these disorderly flowers. I remember the fields of these uncultivated flowers long after they disappear for the winter. Oh, I should let you know, Queen Ann Lace is my favorite flower because of the delicate tiny flowers clustered on thin, celadon green stems. The flowers seem to float in space and ride the soft wafts of the August breeze. Fragile lacey blossoms dance in the fragrant afternoon air. The white blossoms of the Queen Ann Lace contrast with the sturdier chicory flowers. Chicory resembles a daisy with petals branching outward from a round, dark, center. Each Chicory bloom has little oval petals that come to a tip that looks like someone snipped it off, flat, with zigzag pinking shears. The brilliant blue color of the Chicory seems to pop out from among the white Queen Ann Lace in full bloom side by side with Chicory. When I see the Chicory begin to bloom, I know that the season will soon be changing to autumn. Copyright, 2016. Lynda McKinney Lambert. All rights reserved.